Gaming is one of the most popular hobbies among the upcoming generation. In fact, gaming is one of the best hobbies to follow in one’s leisure time as it can prove highly beneficial for relieving stress. As long as you own a PC with some decent hardware and a decent GPU, you can get started right away. PC gaming has evolved significantly over the past few years. Unlike older times, almost all AAA titles are now released on PC along with the other next-gen gaming consoles. Action games – in particular – have enjoyed great success on PC platform. A good example would be the Counter-Strike series by Valve, which is one of the most popular and probably the best action games franchise of all time. Of course, there are some other examples, such as Battlefield, Call of Duty, etc. that have flourished on the PC platform. Action genre has always been popular among all kinds of players. However, no gaming console can compete with PC when it comes to action games. In case you’re looking for a good action game to play on your PC, you’ve come to the right place. In this article, we will be discussing some of the best action games to play on your PC. So, follow along as we take a look at some of the best PC action games that offer the best immersive experience for players. In this article, we will be discussing some of the best action games to play on your PC. So, follow along as we take a look at some of the best action games for PC that offer the best immersive experience for players. GTA V, being the latest installment of the GTA series by Rockstar Games, is one of the most amazing action games available for PC. With next-gen graphics and action-packed gameplay, GTA V packs quite a punch for an average gamer. The spectacular storyline pairs up well with the gameplay and characters. Additionally, GTA V features a massive open-world environment for the players to explore. Set in the summary city of Los Santos, players get to explore a large environment that consists of sky-high mountains, a sandy beach, an American countryside, and the dazzling sight of the metropolitan region of Los Santos. 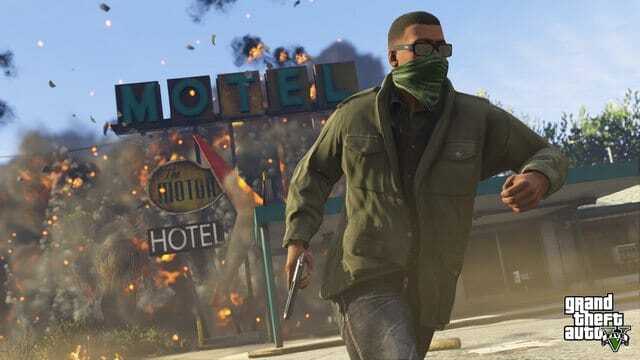 The dynamic storyline of GTA V immerses players in some adrenaline-pumped series of missions. Players get to play as one of the three most important antagonists and complete missions to make progress in the game. The amazing AI makes all the characters a lot more interesting. Aside from the story mode, users can choose to play the game multiplayer with other people. The multiplayer mode adds a lot of new interesting aspects to the unique gameplay presented by GTA V.
All in all, Rockstar Games has indeed come up with one masterpiece of a game that gives the players an unparalleled sense of adventure and freedom in the lively city of Los Santos. You can pick up GTA V from Steam at a price of $59.99 – which is entirely worth it! With a huge community of players worldwide, Counter-Strike: Global Offensive is one of the most popular action games at the moment. CS: Counter Strike GO is the latest installment in the Counter-Strike franchise by Valve. 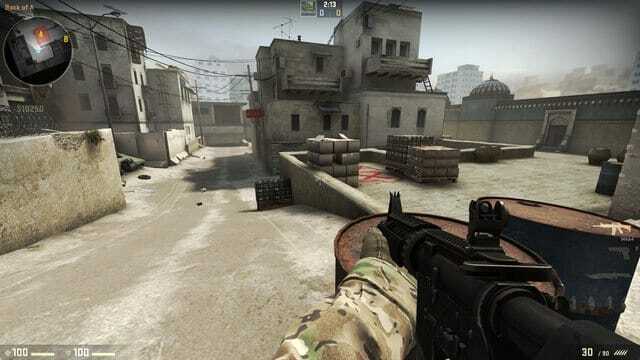 CS: GO might be the most realistic and versatile first-person shooter title that is fun to play. Despite the fact that the game lacks a story mode, players can play multiplayer games with other players in a wide range of game modes. The game comes with the classic game modes that are native to the original Counter-Strike series, along with a broad variety of weapons that you can choose to play with. The exceptional physics of the world make the gameplay all the more pleasant and entertaining. Even though the graphics are somewhat mediocre by today’s standards, but not too bad at all. With almost 17 million copies sold worldwide, CS: GO is the most played FPS game of all-time. CS: GO is available exclusively on Steam at a price of $14.99, which is not too much for an action game that is incredibly addictive. Developed by CD Projekt RED, The Witcher 3: Wild Hunt is another open-world role-playing action game. 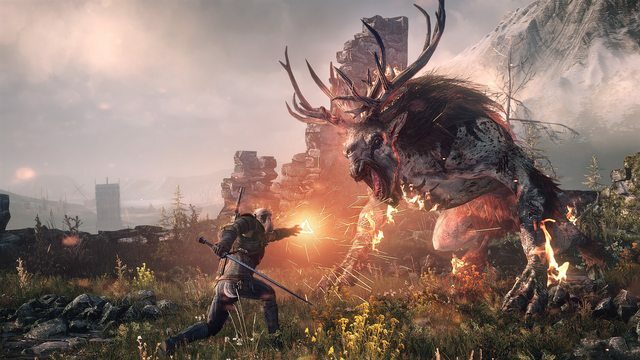 The Witcher 3 was able to rack up a large number of Game Of The Year awards for the year of 2015, thanks to the massive open-world environment and the unique RPG experience. The open-world environment is not only huge but also features stunning visuals that can leave the players dazzled. The Witcher 3 features a great storyline laid upon characters that are even more interesting. The next-gen graphics paired with the action-packed combat-based gameplay make The Witcher 3 one of the most enjoyable action games that you can play on your PC. Players get to play as Geralt of Rivia – a monster slayer – who is on an epic quest to find a child of prophecy. Players can progress through the storyline by completing quests and unraveling mysteries of the child of prophecy. In a nutshell, The Witcher 3 is still the best action RPG that has been ever released. The Witcher 3 is also available on Steam at a price tag of $39.99. Additional downloadable content expands upon the storyline and adds some new aspects to the storyline. Brought to you by Ubisoft, Far Cry 3 is the third installment in the Far Cry series. Far Cry 3 is an action-packed story-based first person shooter game. Even though the next two installments in the series – Far Cry 4 and Far Cry Primal – were pretty good, but Far Cry 3 is still much better than a lot of Action titles out there. Far Cry 3 features a diverse gameplay jam-packed with high-adrenaline action and adventure. The mysterious and tense storyline help the players to engage with the main antagonist – Jason Broody. Players play as Jason Broody who is stranded on a tropical island overrun by badass pirates. The gameplay covers the evolution of Jason Broody as he discovers the mysteries and secrets of the Rook Island on a quest to avenge his brother and rescue his friends. 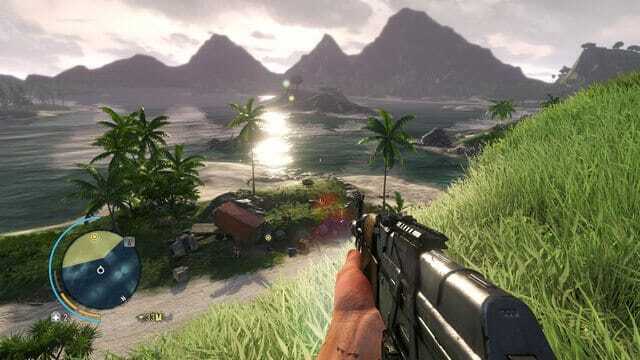 The action-packed gameplay of Far Cry 3 is one of the best action games when paired with the breathtaking sights and sceneries of the tropical Rook Island. Far Cry 3 was also awarded the BAFTA Games Award for Action Game for the year of 2013. You can buy Far Cry 3 on Steam at a price of $19.9. Max Payne 3 is yet another best action games title by Rockstar Games on our list. It is a third-person shooter that comes with spectacular combat physics and an amazing storyline featuring Max Payne. After almost nine years from the previous installment, Rockstar finally decided to release the sequel to Max Payne 2: The Fall of Max Payne, and as it turns out, it was worth all the wait. Max Payne 3 expands upon the original storyline of the Max Payne series. 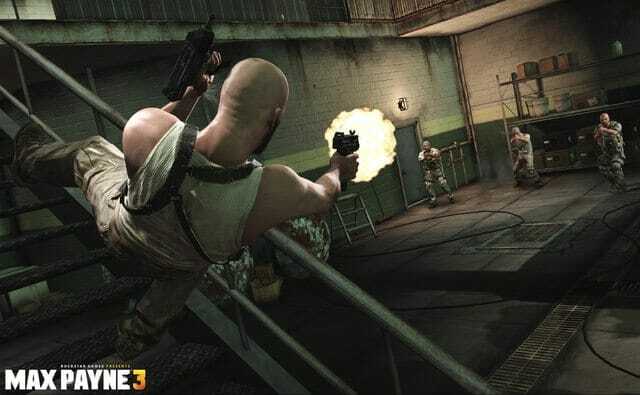 Players play as the main antagonist – Max Payne – who decided to move to Sao Paulo from New York to work as a private security guard for a wealthy family. An interesting turn of events soon takes place, which immerses the player in an action-packed and heart-pounding storyline as Max Payne involves in an even more ominous affair. The gameplay features unique combat mechanics and dramatic cinematic effects, which engages the player as Max Payne uncovers the mysteries in an immersive chain of missions. In short, Max Payne 3 is yet another breathtaking video game by Rockstar Games that offers a lot more to the players regarding gameplay as well as combat mechanics. Max Payne 3 is available on Steam for only $19.99. Here, we discovered and discussed some of the best action games that you can play on your PC. Despite the fact that all of these titles are a bit costly as compared to other cheaper or free action games titles you can play on your PC, but these are the best bang for the buck you can get if you are a fan of sweet adrenaline-filled action.